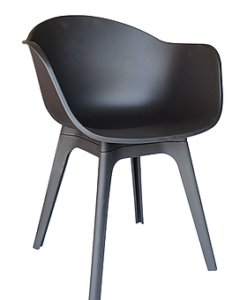 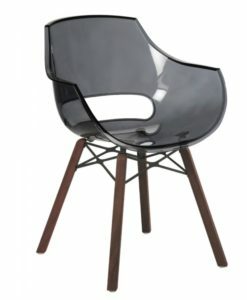 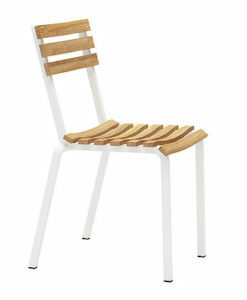 Dining chairs arm and armless. 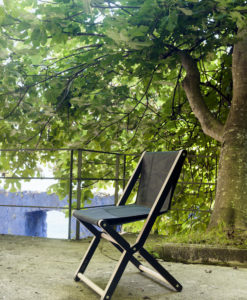 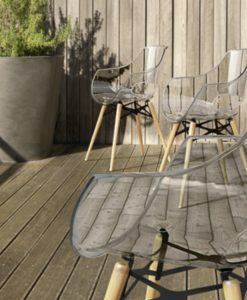 Zevi is a collection with endless options thanks to its unique design, weather resistance this collection is excellent indoor and outdoor use. 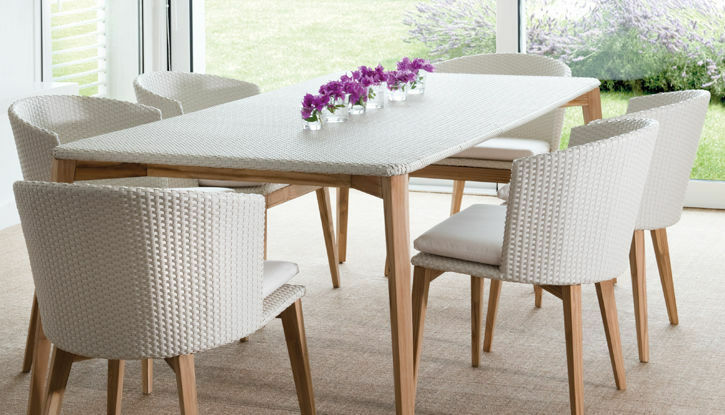 Matching dining tables made of wicker and teak. 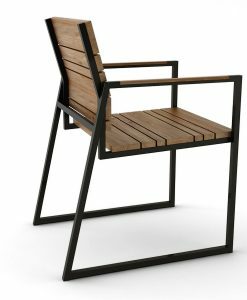 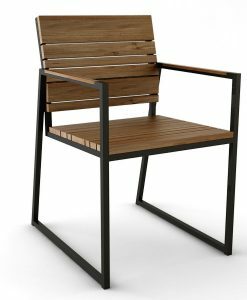 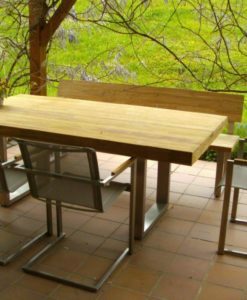 Every outdoor moment would be unlike anything else this collection offers quality and design, hand made, there smooth lines would make every outdoor experience the best. 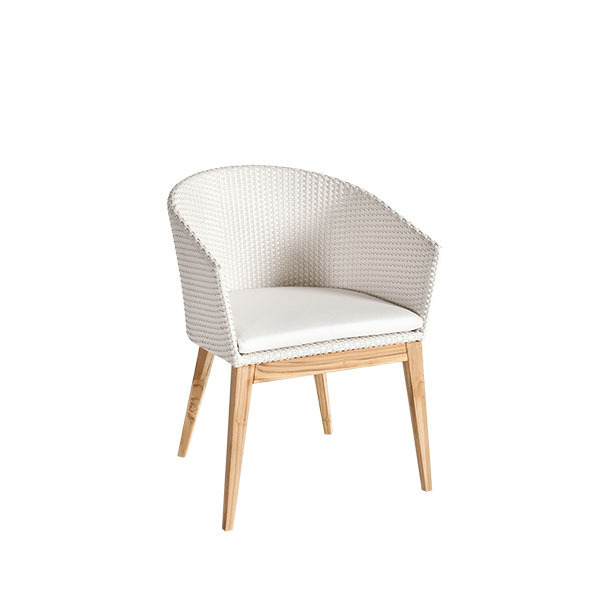 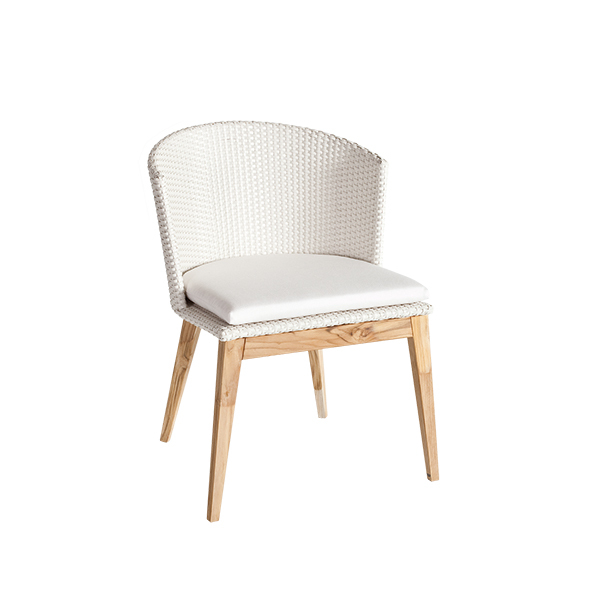 Teak Frame and wicker tops, white or black. 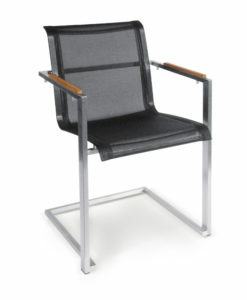 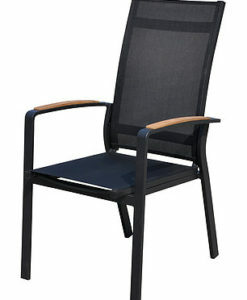 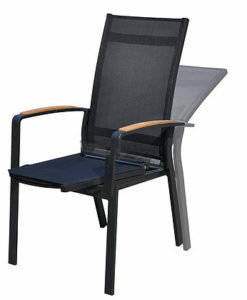 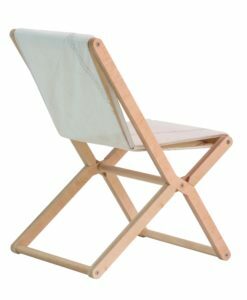 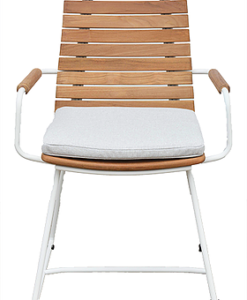 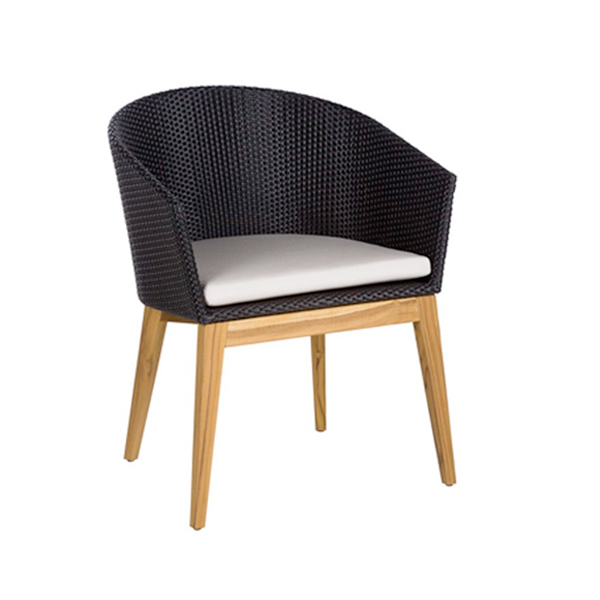 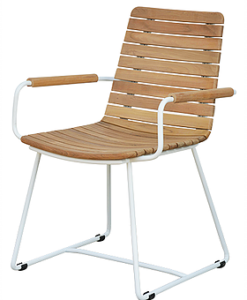 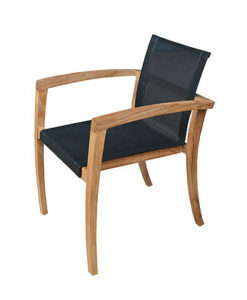 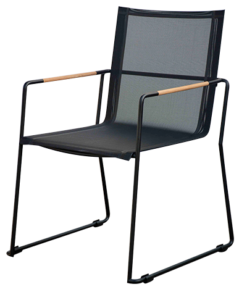 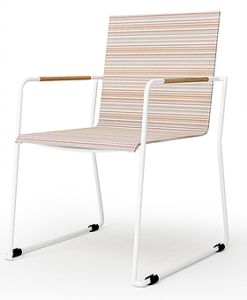 Matching dining chairs, seat cushion with 28 Sunbrella fabrics to choose from with teak frame.